EDIT: Since this page (and the remaster) were done, its come to light that the recording is NOT from 7 June, but from 6 July! 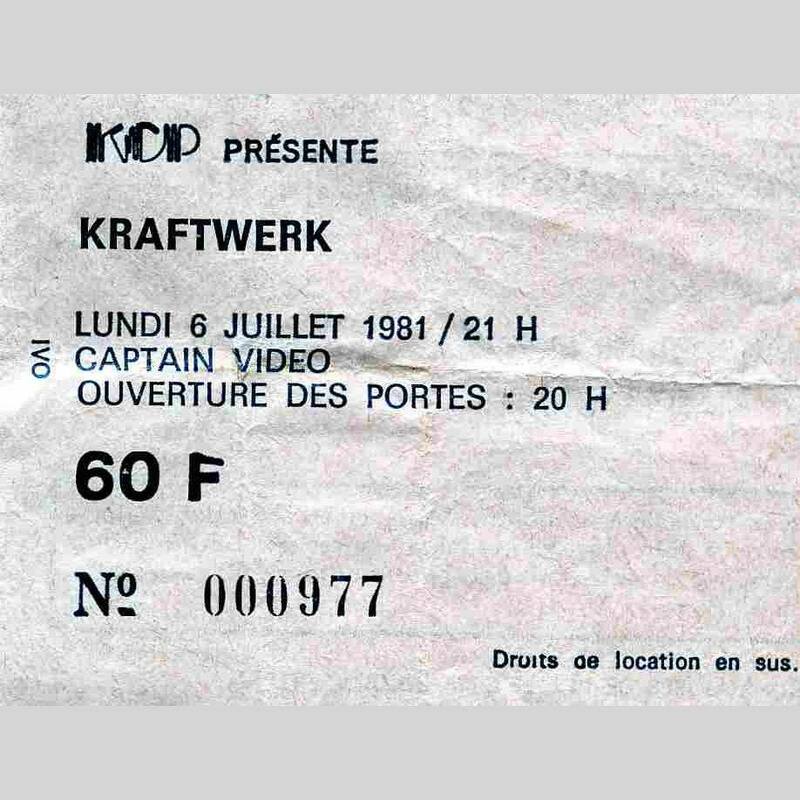 The gig is still in Paris, at a venue called Captain Video - which also is referred to as Studio Gabriel on more than 1 source on the internet. 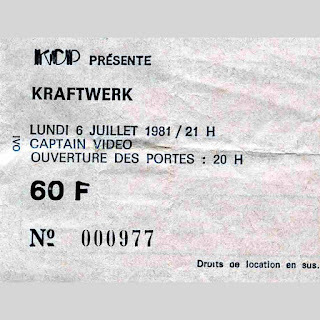 Copies of a ticket and advert from the gig are shown below. 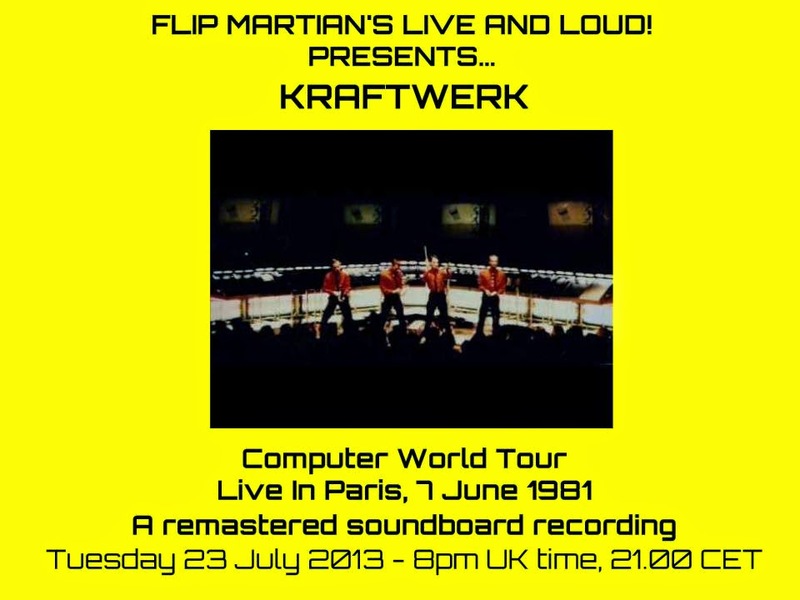 And I must also give thanks to Arnaud, from a Kraftwerk group on Facebook for helping identify this gig properly. Kraftwerk embarked on their Computerworld tour after the release in May 1981 of the album with the same name. They ended up on tour until the end of the year. 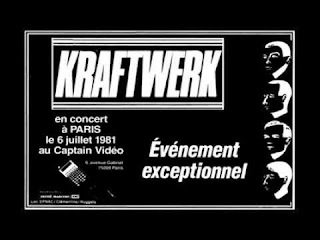 This gig is from the early part of the tour and for me provides an interesting contrast to the Kraftwerk of today, where everything is note perfect, ordered, clinical, sterile. Back in 1981 there was an awful lot of synths being played manually and so timing errors and bum notes are clearly evident! And also towards the end of the gig, it does actually sound like they're really into it and excited! This is the Kraftwerk I prefer, if I'm honest. They may not be perfect but it does make for a more interesting and less predictable performance. I think this was a soundboard - the quality really wasn't very good however and went through a few generations I think before I got it. There was a good amount of restoration and remastering on this one; so while its not quite as clear as some of the shows in this archive, I think its been worth it.